2 family / group areas – which hold up to a maximum of 6 family tents in each. We have a high standard of washing facilities that we keep clean and tidy. Large showers, plenty of sinks and free hot water always available, as well as a family bathroom with changing facilities. Washing up area is kitted with fridges and freezer, microwave, kettle, toaster and plenty of spare crockery. Dog friendly – we don’t charge for their stay. Wifi is available field wide. 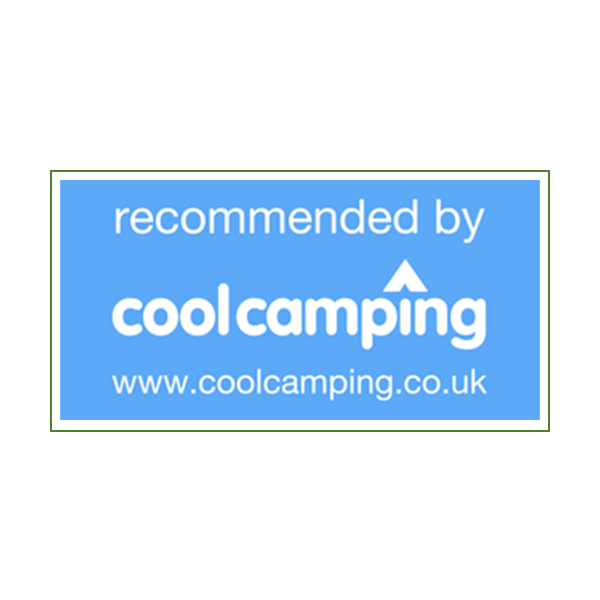 We charge £1 per pitch per stay for the code – useable on multiple devices. Visitors are more then welcome on site to join you but we do ask for a small fee (£1) per visitor (over 3yrs) and to sign a log, this is just so we know who is on site from a safety aspect. Supermarkets deliver shopping here for guests once you’ve arrived. We are on google maps also, but some satellite navigation systems take you on a bit of a goose chase, so we include these directions with every booking confirmation, and we have got signs out near to the campsite to help direct you here, but if you get stuck, you can always call us. Farm on your right hand side, and we are approximately 300 yards from Sleight Farm on the Right. On the A361 heading towards Bath, You will enter on to the A36 there are a series of roundabouts all of which you head towards Bath. The final roundabout, at Beckington (which has a Texaco petrol station & Little Chef) Keep in left hand lane to go straight on to Bath, approximately ½ mile down the road you will pass over the river Frome and on the left hand side after the Toll House turn left towards Laverton. You will approach a mini cross road, at which point you turn left, passing Sleight Farm on your right hand side. We are approximately 300 yards from Sleight Farm on the Right. Cheddar Caves (approximately 50 minutes away) – we also offer a discount of 35% off. Numerous national trust properties – Stourhead / Bowood House are great for a day out. Giant Market 1st Sunday of every month – great for a bimble! Lots of places for wild swimming. Reliable bus route – which is a 10-minute walk from site from the Red Lion pub in Woolverton. The Red Lion is our nearest local pub and approximately a 10-minute walk from site. There is also the Cross Keys in Rode and The Mill at Rode – both about a 5 minute drive or walkable – about a 30 minute walk away. All of these are family and dog friendly. Mike’s Kitchen in Frome is a Chinese/Thai that currently delivers to site – there are also other take aways available in Frome, but unfortunately they don’t deliver. We have a very relaxed yet respectful feel to our campsite and these are all pretty obvious really, but please take time to read through them as we really don’t like being the campsite police! Be considerate to your neighbours ALWAYS! Be respectful of the countryside where we are located, we advise a max 20mph limit on the roads up to and off the campsite. Drive very slowly when on site, lots of free-range children we recommend no faster than 5mph. Any poor behaviour or language will not be tolerated – consistent offenders will and have been asked to leave. Dogs must be kept on a lead and cleaned up after them at all times (free bags available at reception). I’ve cleaned up after too many big dogs! Noise must be kept to a minimum between 10.30pm-7am, we regard this to be important to keep the site respectful to those around you. It is very likely that you may have young kids pitched next door, and canvass isn’t the most sound preventative material. We do not accept non “family groups” – so no Hen or Stags. Any booking over 3 pitches MUST be booked over the phone. Arrivals to be onsite between 2pm- 7pm at the latest. We shut the shop at 7:30pm. Departures to leave by 11am. Please tidy up after yourselves and leave the pitches as you found them. Please take any broken or unwanted camping equipment home with you – it fills the bins up too quickly and doesn’t allow campers to dispose of their general rubbish. No lilo’s, duvets, broken poles, gas bottles, broken tents or gazebos to be left here. It’s all fitted in your car on arrival – we ask that it goes back with you! We ask that all campfires and BBQs are off the grass and not near the entrance of your tents.